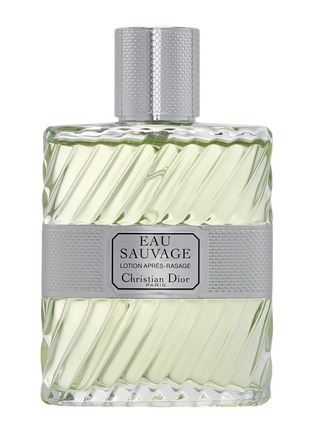 Dior's Eau Sauvage After-shave Lotion is a classic shaving ritual product that soothes and restores the skin’s natural comfort. Its light, fluid formula protects the epidermis and is rapidly absorbed. Available in 200 ml and 100 ml format, in a classic bottle or spray.